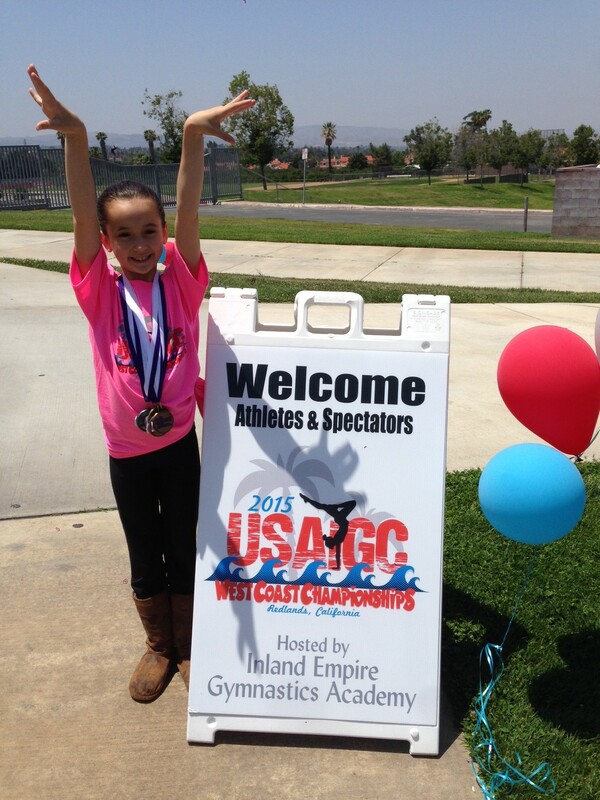 In the world of Gymnastics, there are two major organizations: The USAG and the USAIGC. The USAG are the folks who train, mold, shape, and form the next group of girls for the Olympics. The elite of the elite. The USAIGC is more family friendly. Winning isn’t the only thing. Yes, excellence is the goal, but there are other things in life. Like school. And ice cream. Plus, it’s cheaper. The USAG requires their girls to practice 20-30 hours per week. Before and after school. And, also requires a “family commitment.” I read that as dollar signs. The USAIGC, especially through our YMCA, is actually a great deal. And, it is a wonderful program if you are testing the waters. I thought he was just being nice. But, turns out, he wasn’t just being nice. He was telling the truth. So, here we are. In Indian Wells, California for the World Championships. 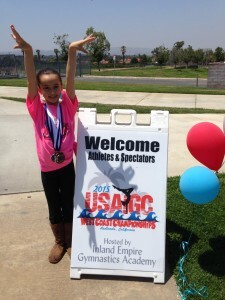 Isabella qualified on the basis that she performed well at the Regional Championship. She is an odds-on favorite for a medal. But, it’s not about the medals. Because on the trip home (the girls): I want sushi! I hate sushi! I want chicken! I want ice cream! Blah blah Blah. Julianna (she’s 10): Daddy, small people sound like chipmunks when they talk. Me: Well, people tell me I’m short. Do I sound like a chipmunk? J: No, Dad. Like a dwarf or a munchkin. Me: So, you’re saying I’m a dwarf, then. J: No, Dad. You’re a regular person. You just kinda stopped growing somewhere along the way. Me: So, I’m not a munchkin? J: No, well, but. You just stopped growing. But, your stomach kept going. Hahaha! You’re fat! J: I am an awesome kid! Me: Grrr… No you’re not. And, fat people and dwarfs are regular people, too. Be nice. On the way to last Saturday’s regional gymnastics championships, Isabella (she’s 8) complains about not feeling well. She’s been fighting an on-and-off cold for several days. Iz (on the road to Redlands, CA): I don’t feel well. Iz: I dunno. Parts of me feel sick. Iz: I think my “nervous” parts. Your 2015 Uneven Parallel Bars West Coast Champion (of the wooorld! ), (8-year-old division): Isabella! 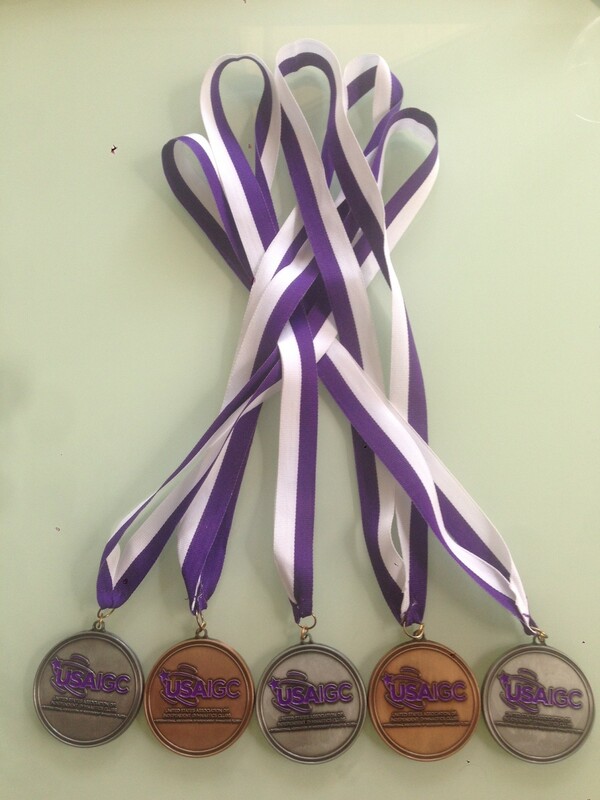 Overall, 1 Gold (bars), 1 Silver (vault), 2 Bronzes (beam and floor). And an All-Around Silver medal! 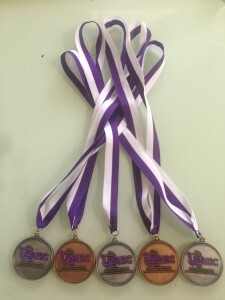 In her first year of competition. Nationals are next… We are considering adding a trophy room to the house.